I know I know I know you must be like Swift 4 WTF! Don’t worry Swift 4 is not out yet but you can still play around with Swift 4 features using the Swift Development Snapshot. If you are interested in installing Swift 4 snapshot then check out this link. 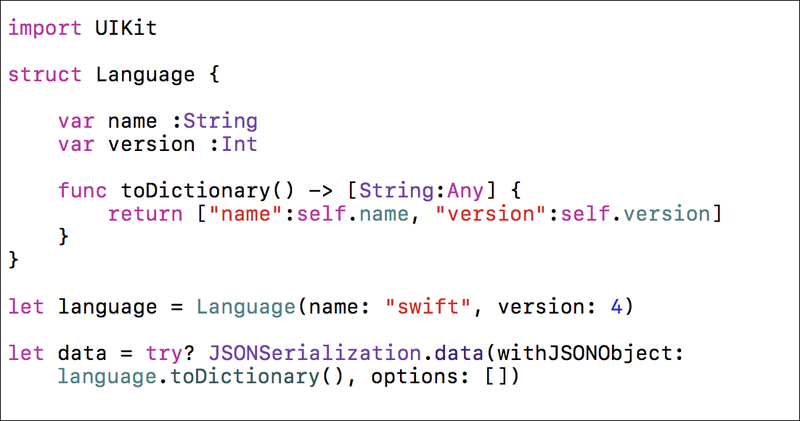 The JSONSerialization class is responsible for returning a Data object, which can then be passed as an HTTPBody to a request. Notice the use of the new Codable protocol, which makes the Language structure encodable and decodable. Later JSONEncoder class is used to perform the encoding by using the encode function. Pretty simple right! We can even make it more simpler through the use of protocols and extensions. 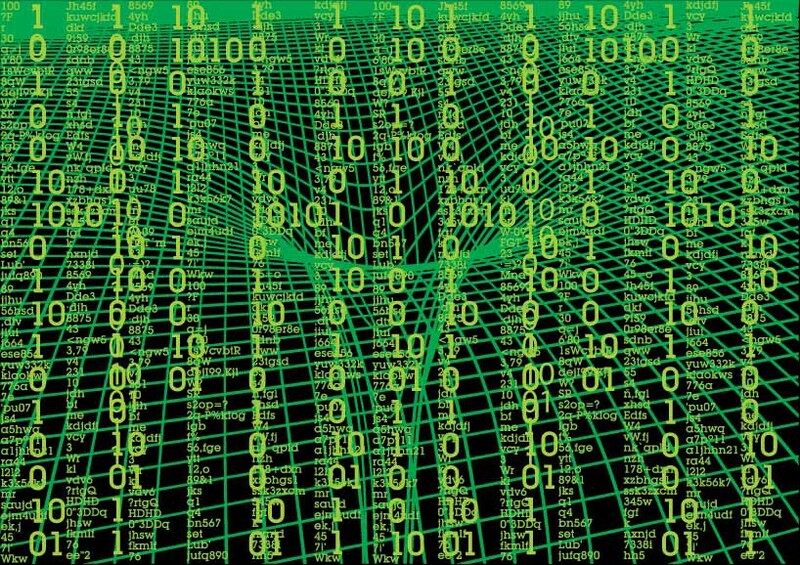 Let’s create a custom Serializable protocol which will perform the encoding for us. Using JSONEncoder and JSONDecoder is fine but we can certainly make it more seamless to perform encodings and decodings. Instead of creating an instance of JSONEncoder a class or struct should be able to encode themselves. Take a look at the Serializable protocol below which can be conformed by all models who are interested in being encoded. Instead of implementing the serialize function separately in each class or struct we will use the power of protocol extensions to create a default implementation. Make sure your Language model conforms to the “Serializable” protocol and not “Codable” protocol. 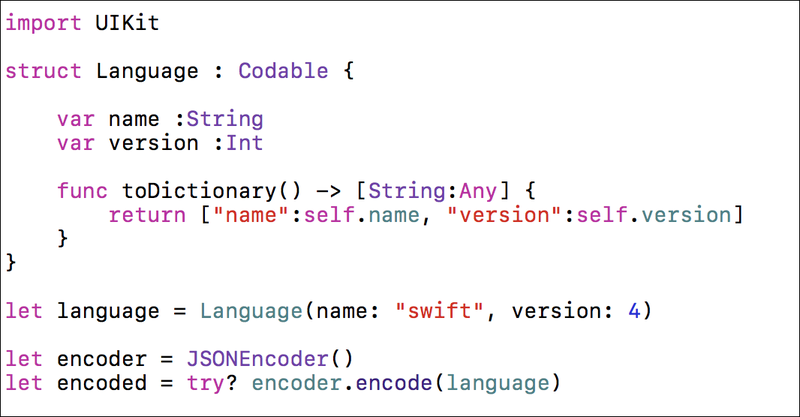 I believe these new advancements in Swift 4 will really benefit developers when building applications that rely on networking services and posting encoded data. I am available to work as a senior iOS developer. If you are interested then check out my resume here.